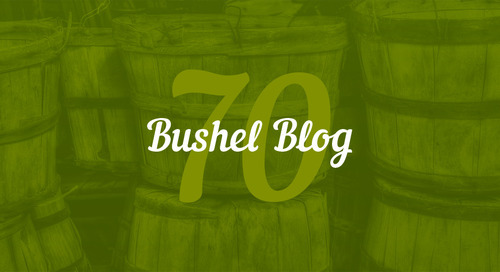 Home » Harvest » What’s Your Stand Establishment Score? Once you’ve completed these actions, a “stand establishment score” can be determined and used to benchmark progress year over year. 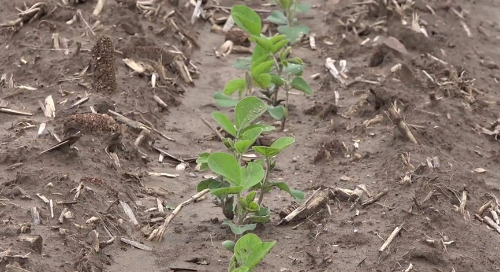 Soybean populations play an important role in crop performance and profitability. They can vary from as low as 100,000 to well over 200,000. 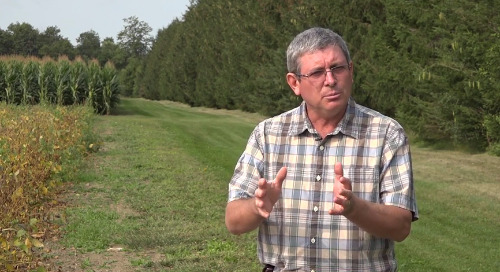 Establishing your ideal population target is based on two factors – plant type and field productivity index. Plant type is described as slender, mid-bush or bush. A plant’s architecture is an important variety characteristic because it determines the ability to provide some degree of canopy flex and can help to ensure full closure under certain conditions such as wider rows or thin stands. 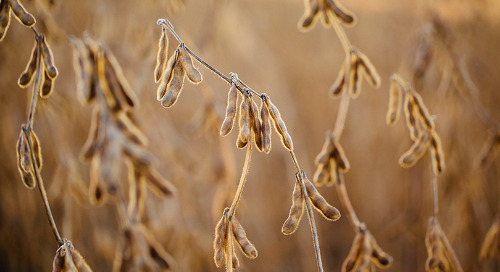 A field’s yield productivity index is characterized as high, mid or low, which may be consistent across an entire field or specific to a zone within a precision soy system. By combining these two factors within the Syngenta population matrix, an optimum population can easily be determined. 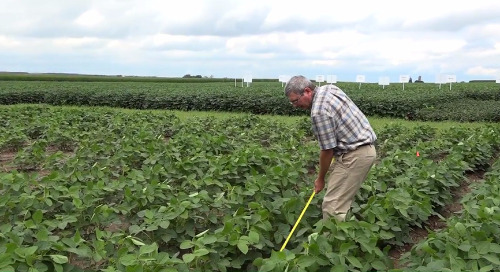 It is essential to accurately determine your final soybean stand. Our standard recommended technique is the 1/1,000th acre stand count method, which is conducted on individual rows regardless if the field has been planted in narrow (<15”) or wide rows (>20”). Watch this video for a demonstration. 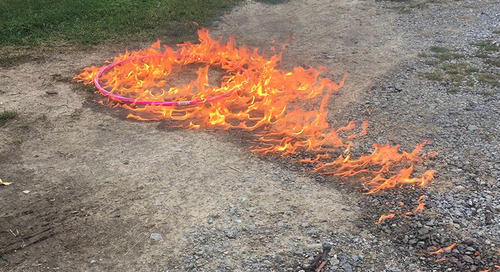 As you’ll see, you can retire your hula hoop – the 1/1,000th acre stand count method is a more accurate and quicker way of calculating your final stand. It also helps to highlight issues that may exist within the seeding equipment by documenting count differences between individual rows. The third step is to establish the “gap” or “attrition rate” between the seeds planted and the final stand count. This gap is typically 10% to 15% under ideal conditions within a top-notch soybean planting system. For many growers, the attrition rate often ranges from 15% to 30% – some are even higher in challenging cases. 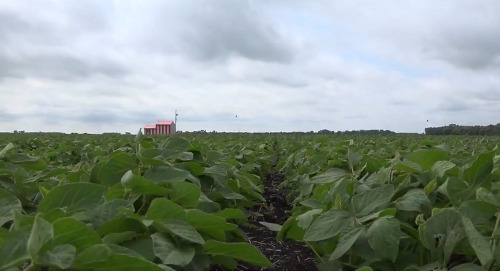 Our Syngenta team is experienced in helping growers close this gap and enhance soybean stands. 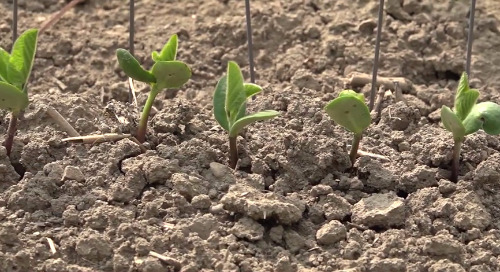 Uniformity of seedling staging within the row is most often impacted directly by planting depth. Variable planting depth leads to variable emergence or, more specifically, an extended period of emergence. This can result in the “runt syndrome,” which is extremely detrimental to late-emerging plants. 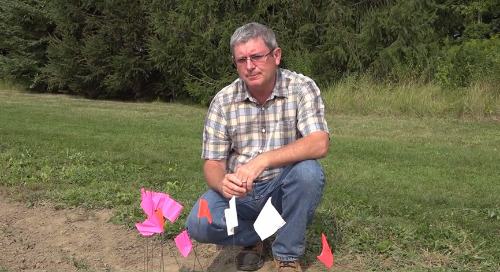 The best method to help assess this issue is the “flag emergence test.” By creating an ideal environment for each and every plant, it can then maximize its genetic potential. Uniform seedling staging produced from uniform emergence is sure to put a soybean crop on the path to top performance. 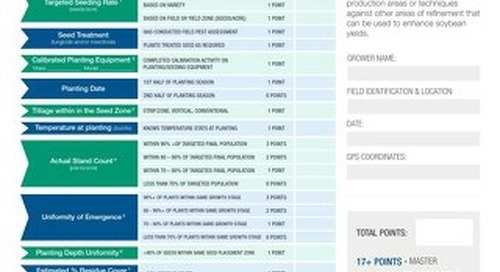 The final, in-field stand assessment factor is to determine the uniformity of spacing within the row. The specific goal is to achieve picket fence soybean stands. (Read more about picket fence soybeans here.) This is accomplished by improving singulation and reducing the number of in-row gaps. Aim to reduce gaps greater than one foot in medium-to-wide rows and those greater than two feet in solid-seeded rows. Soybeans do have some canopy flex, but as mentioned earlier, this depends on plant architecture. Achieving top yields with maximum profitability is dependent on producing a crop with a uniform canopy with optimum density. 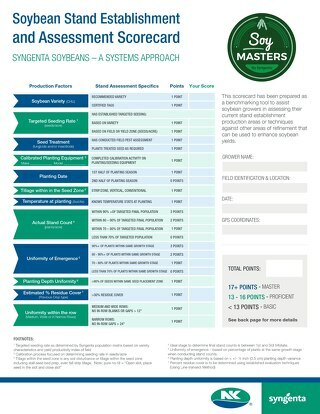 Completing these five key steps of stand assessment and benchmarking your results using the Syngenta scorecard, will allow you to compare results year over year, move your soybean production needle forward, and bring you closer in your quest to become Soy Master.